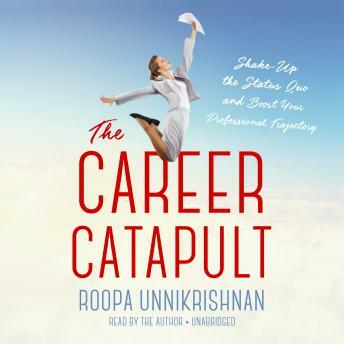 In The Career Catapult, innovative career consultant Roopa Unnikrishnan shows you how to gaze into this uncertain future and shape it to your advantage?regardless of your current position in the hierarchy. Dig Deep to Soar. Examine your skills and resources to accurately assess your marketplace value. Stalk Innovations and Trends. Explore the context in which you can offer your value. Jolt Your Network. Use your assets, including networks that can drive significant value. Prototype Possibilities. Free yourself to imagine. Visualize the full array of possibilities and test-drive them. Find ways to don the mantle of the new role. Go Extreme. Is your desired future achievable? Yes! Take that confident leap into your future.